Chemical signal transmission is a key process for intracellular communication (2). In neuron, neurotransmitters are accumulated in the synaptic vesicles and are released upon stimulation. Released neurotransmitters stimulate target cells by binding to the specific receptors. Among the various neurotransmitters used in the biological system, glutamate is a most important neurotransmitter for excitatory signal transmission in neuron and plays key role in higher order brain functions including memory and learning. The vesicular glutamate transporter (VGLUT) is a protein molecule located on the membrane of synaptic vesicles and responsible for vesicular accumulation of glutamate in the vesicles (2). Thus, VGLUT is an essential component of excitatory signal transmission in brain. Although importance of VGLUT in chemical transmission, molecular nature of VGLUT was not well understood. 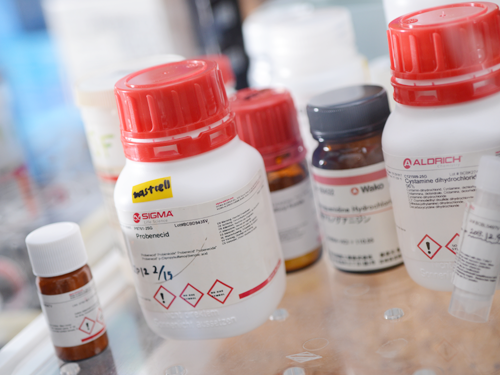 We analyzed kinetic features of VGLUT through newly developed assay system (3). In this system, VGLUT is over-expressed in the insect cells and purified by Ni-NTA column chromatography after solubilization of membrane by detergent. The purified VGLUT is reconstituted in liposomes (artificial synaptic vesicles) and used for glutamate transport analysis. One of the interesting feature of VGLUT found in our kinetic studies was the Cl- switch (1). VGLUT requires low concentration of Cl- for glutamate transport activity. Interestingly, such Cl- stimulation shows strong cooperativity. With this strong cooperativity, Cl- can tightly control VGLUT as a molecular switch. We also found that ketone bodies (acetoacetate) inhibits VGLUT by reducing affinity to Cl-. 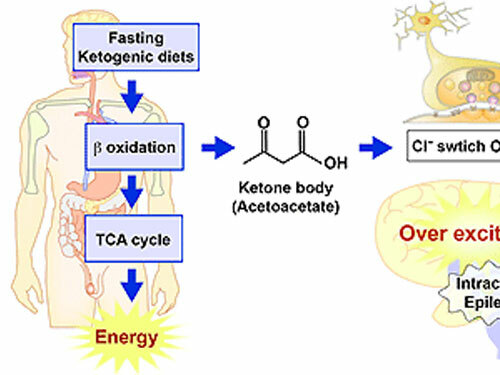 Ketone body is the metabolic intermediates of fatty acid and produced during starvation. Our study showed that ketone body inhibits neuronal activity and seizures evoked by epilepsy. By inhibiting VGLUT, glutamate can not be accumulated in the synaptic vesicles and hence chemical transmission is reduced. It is noteworthy that ketogenic diet has been used for treatment of epilepsy. However, molecular mechanism of this treatment was not known. Our study revealed that the metabolic control of vesicular glutamate transporter is the key process to control epilepsy. Our results also indicate that chemical signaling in brain is affected by the metabolic state of the animals. In addition to the postsynaptic receptors site(s), loading of neurotransmitters into vesicles is novel site for controlling chemical transmission. This means that vesicular neurotransmitter transporters are a new set of potential pharmacological targets for drugs that control brain function. Juge N, Gray JA, Omote H, Miyaji T, Inoue T, Hara C, Uneyama H, Edwards RH, Nicoll RA, Moriyama Y. Metabolic control of vesicular glutamate transport and release. Neuron 68: 99-112, 2010. Juge N, Yoshida Y, Yatsushiro S, Omote H, Moriyama Y. Vesicular glutamate transporter contains two independent transport machineries. J Biol Chem 281: 39499-39506, 2006. 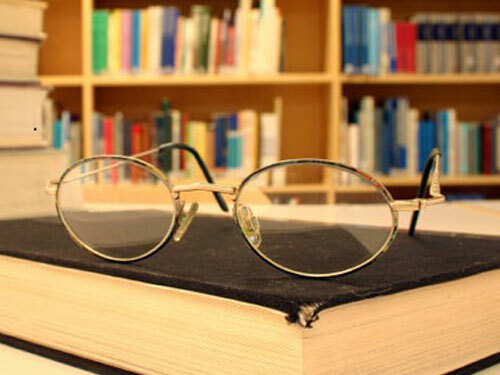 Hartman, A.L., Gasior, M., Vining, E.P., and Rogawski, M.A. The neuropharmacology of the ketogenic diet. Pediatr. Neurol. 36: 281-292, 2007. We identified a TRP channel homolog from a fungus Gibberella zeae, one of the important model organisms for biological studies. This protein, namely TRPGz, was found to response to various cytoplasmic and extracellular stimuli, such as cytosolic Ca2+, membrane potential, extracellular osomotic upchock, oxidizer application, and temperature change. Importantly, these stimuli are the ones commonly activate other eukaryotic TRP channels. Therefore, we expected TRPGz to serve as a prototypic TRP channel, and addressed its molecular bases for multimodal regulation. We identified multiple regulatory modules of TRPGz within its C-terminal cytosolic domain (CTD) that mediate at least part of the multimodal channel functions. One is the middle presumed coiled-coil region necessary for activation by hyperosmolarity and temperature increase, but not for the tetrameric channel formation or other activation modalities. Another is the C-terminal phosphatidylinositol phosphates (PIPs) binding module for channel inhibition. Because the PIPs level in cell membrane dynamically increase upon various cellular stresses, the interactions of PIPs with the PIPs-specific region are likely to play important roles for channel regulation under cellular stress conditions. The NMR analysis of the CTD revealed that most of the CTD is considered to be intrinsically disordered. Nevertheless, we successfully solved the X-ray crystal structure of the presumed coiled-coil region at 1.25 Å resolution using SPring-8 beamlines. The region formed a tetrameric assembly, but the structure is not actually a tetrameric coiled-coil but a four-helix bundle with weaker interprotomer interactions. The analytical ultracentrifugation experiments as well as the NMR analyses confirmed that the CTD exists in association and dissociation equilibrium in the physiological state. Notably, the CTD oligomerization mediated through this bundling region positively correlates with the levels of hyperosmotic- responses. The structural characteristics of the TRPGz-CTD described above, with its intrinsically disordered region and the assembly region with moderate association affinity in the middle, allows dynamic association and dissociation with various binding partners, and thus is considered to be favorable for the multimodal activation commonly observed in TRP channels. 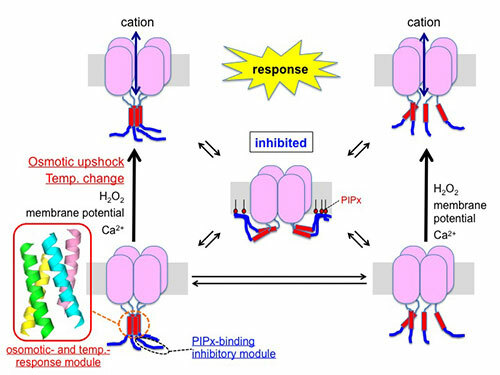 This work proposed structural and biophysical principles for multimodality of a TRP channel family member. The results from this study might contribute to deepen the understanding of the functions TRP channels, which also includes important targets for drug discoveries. Ihara M, Hamamoto S, Miyanoiri Y, Takeda M, Kainosho M, Yabe I, Uozumi N, Yamashita A. Molecular Bases of Multimodal Regulation of a Fungal Transient Receptor Potential (TRP) Channel. J Biol Chem. 288,15303-17, 2013.